A Bible Study Group meets in church on the third Wednesday of each month after the 10.30am Eucharist. A Meditation Group “Be Still” meets on the last Wednesday of each month at 7.45pm. 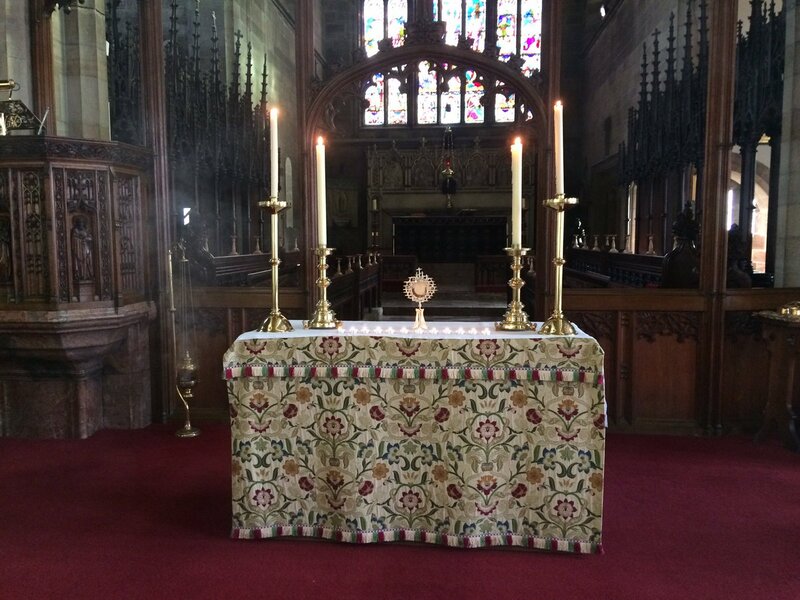 Holy Hour of silent prayer before the Blessed Sacrament (see picture below) takes place on the last Saturday of each month at 11am, followed by a Eucharist of the Blessed Virgin Mary. Every Spring and Autumn we normally run additional prayer and study groups as a means of deepening our life of faith. Regular courses are offered in preparation for First Holy Communion and for Confirmation. Our parish calendar includes other opportunities for nurturing faith, such as pilgrimages to holy sites and occasions for quiet prayer & reflection.